For severely dry/damaged hair. C.P.R. is an intensive two-step in salon restorative treatment that repairs the cuticle porosity deficiencies by replenishing vital nutrients that have been depleted from hair. This is step 2 from the 2-step treatment. Step 2: Water, Dimethicone, Glycerin, Cetyl Ethylhexanoate, Cetearyl Alcohol, Cetyl Alcohol, Behentrimonium Chloride, Glycine Soja (Soybean) Seed Extract, Hydrolyzed Silk, Hydrolyzed Vegetable Protein, Silybum Marianum Extract, Sucrose, Trehalose, Lecithin, Ascorbic Acid, Retinyl Palmitate, Propylene Glycol, Tetrasodium EDTA, Ceteareth-25, Hydroxyethylcellulose, Citric Acid, Isopropyl Alcohol, Methylparaben, DMDM Hydantoin, Iodopropynyl Butylcarbamate, Fragrance. 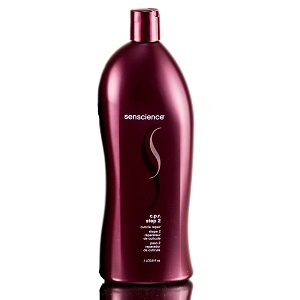 Apply a generous amount to hair. Work through. Process with heat for 10 minutes. Rinse thoroughly. Style.